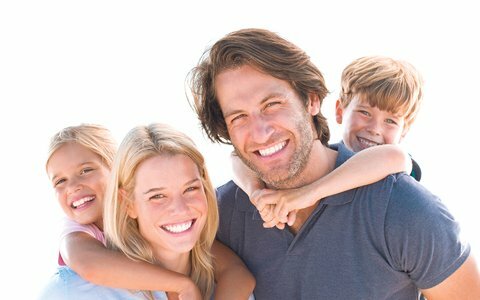 At QTL Dental, we want you to have one of the healthiest and happiest smiles around! Our team will do everything we can to make you feel welcome and comfortable. If you are looking for a dentist to take care of all your general dental needs, talk to us today. Most people know it’s important to see a dentist every six months for an oral exam and cleaning. Not only is it a good idea to spot cavities early and get them taken care of, but we also do a complete oral screening. We do this so you can avoid issues like gum disease, severe infections, and oral cancers. Rest assured that Dr. Lee will take care of your glowing smile! She uses composite fillings, meaning the material used in the filling closely matches the natural color of your teeth. This includes anterior composite fillings for the front teeth. When you need a small filling on one of the anterior teeth, you don’t want a traditional silver filling right up front. We use composite resin to restore your front teeth to a natural white color. Our team will smooth and polish the resin to blend into your existing teeth. We offer many other treatments and services to take care of you right here in our office. From root canal therapy to dental crowns, we want you to be pain-free and looking your best. We also offer wisdom teeth removal and teeth whitening. Are you still anxious about seeing a dentist? We have several different sedation options to help you relax, including laughing gas and oral conscious sedation. A quick visit to our office will show you how friendly and comfortable our atmosphere can be! We are ready to help you with your dental care needs. Remember to brush and floss daily, and to come see us every six months for a check-up. Call us to schedule an appointment today!